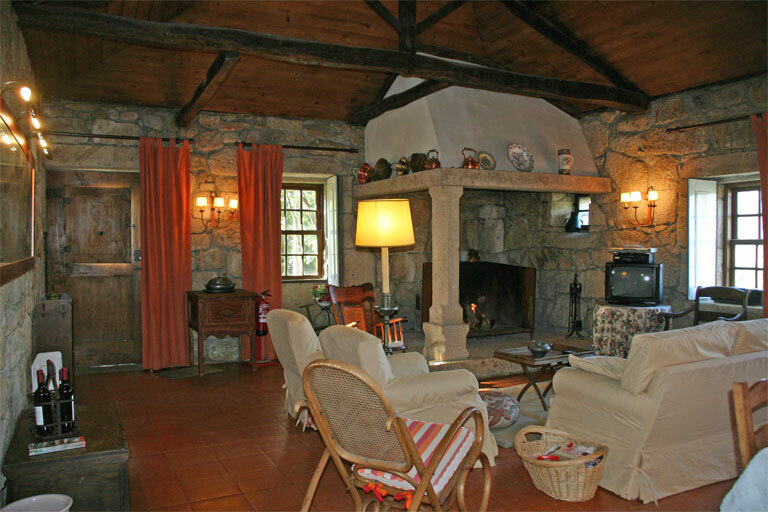 Casa da Póvoa keeps the presence of a typical XVI / XVIIth century manor house of Douro, with a lovely view to the River Douro and the dam of the Carrapatelo. The oldest aisle of the house was built back in the seventeenth century, while the most recent aisle was built in the eighteenth century. This is the facade turned onto the river, which was built by the owner’s 6th grandfather, Caetano Pereira Bravo Vasconcelos de Osório. In the ground floor, the house keeps all the initial features such as the chapel, cellars and granaries. – Living room with sofa, fireplace, TV and small library. – Dinning room with a table seating up to 12 people (with fireplace). Doors opening onto small veranda with fantastic views over the river and dam. – Living room with big fireplace and all equipment such as TV and Hi-FI. – The house has internet access. – Three twin bedrooms sharing two bathroom.